The life of lithium batteries has been shortened due to the way we charge our phones. These practices can shorten the life of your battery. 1. Charging overnight: If you leave your smartphone all night, the life of your smartphone battery is more than good. It is a very bad exercise. 2. Charging and Using the Phone At the Same Time: It's a bad exercise to charge and use your phone to get things done, a build-up of electrons in the battery would occur and then shorten battery life. 3. Dry the battery completely: It is very wrong to fully discharge the battery before recharging it. In this process, the battery life would continue to decrease, it is advisable to leave a 20% charge before recharging. Do not completely drain the battery to 0%. 4.Do not let your battery fall below 40%: Charge your phone best if you keep it in the range of 40% -80%. With this type of charge, the battery life remains stable. And keeps it for a very long time. You would find that charging the phone battery is 100% charged on the battery. 5. 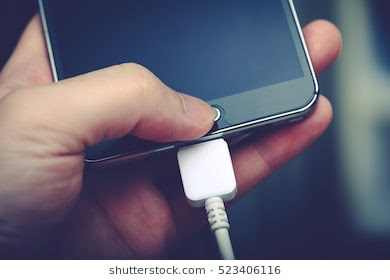 Disconnect the charger after charging: many Android users will fail even if your phone is charged; some still choose to leave the charger in the phone. It is good practice to disconnect the charger after charging.